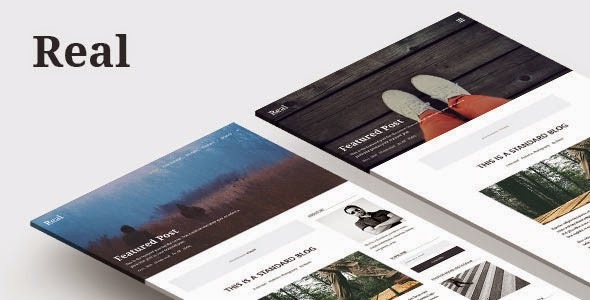 Real is a responsive, minimalistic blog theme which support your paid content. It is compatible with the Paid Memberships Pro plugin (free) which make a Membership based (paid or public) site. The self-developed Pagebuilder makes it very intuitive to build your unique posts and pages. 2 Header Layouts: Menu Hidden and Menu Shown. Item Reviewed: REAL Responsive Minimalistic Blog WordPress Theme 9 out of 10 based on 10 ratings. 9 user reviews.